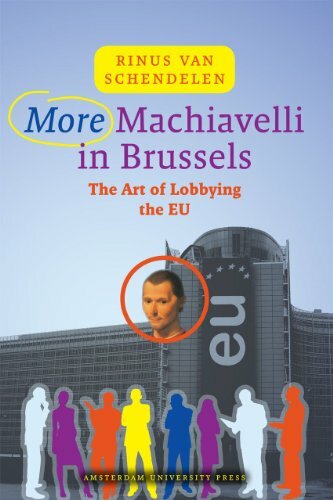 More Machiavelli in Brussels is about winning, or at least not losing, one's interest - particularly within the EU where countless interest groups from government and civil society try to get the 'honey and money' of desired legislation, subsidies and more. Drawing on research and evidence, Van Schendelen describes how these groups lobby the EU every day and how they can enhance their success by the expertise of 'public affairs management'. Invoking Machiavelli, he emphasizes his three catchwords of success: ambition, study and prudence. Enriched with new facts and figures, lobby cases and findings, the book also takes into account the new Treaty of Lisbon. Inspired by study and many years of practice, this invaluable book cites many new real cases, smart practices and issues of EU lobbying, raising questions about limits of lobbying and contributions to EU democracy. van Schendelen, M. P. C. M.